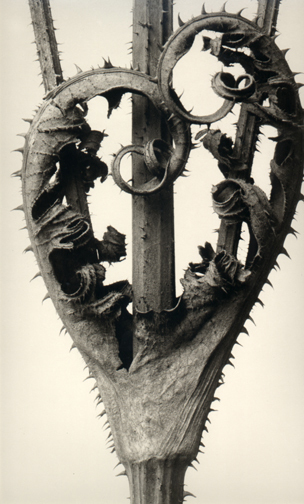 Blossfeldt used a camera which he made himself along with three different sizes of negatives. 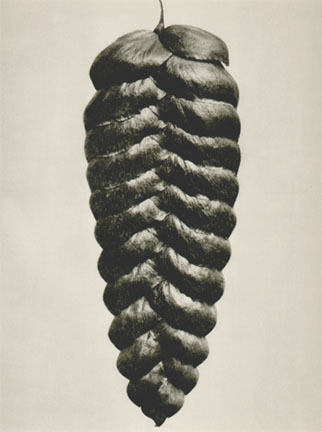 Nature and its inherent laws as well as his experience of Egyptian, Greek, and Roman art taught Blossfeldt directness and fidelity to what is essential. 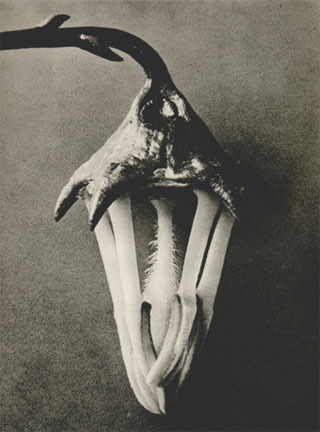 His early photographs reveal an interest in the typology of plant forms which was to become a fundamental concern of his later work. 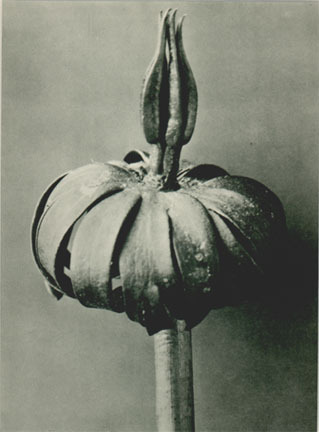 He shot his plants in front of natural backgrounds, lit them with weak daylight whenever possible, and used either a vertical or horizontal perspective. This very simple technique went unchanged during his 33 years of practice and teaching. His main concern was to gather suitable plants and provide the most exact reproductions possible of their parts. 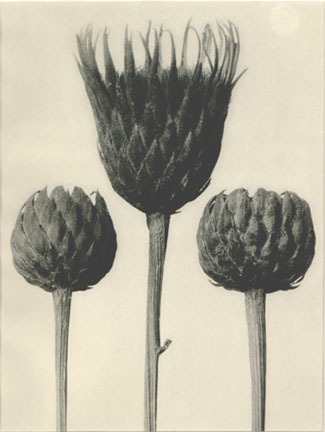 He did not limit himself to the separate aspects of a particular plant -to the head of a poppy, for example- but he tried rather to give a broad selection of the various shapes and forms which appear during the growth period and dying process. On the basis of Urformen der Kunst and its influence we can now see that behind this documentary concern was the mind of a 19th century natural scientist and philosopher, a mind comparable to that of Charles Darwin, Gottfied Semper or Erich Haeckel.